Mealtimes are an event in Italy. Eating is a big part of what we do to socialise and we treat dinner as an opportunity for all the family to get together, indulge and enjoy. So, even here in the UK, the best Italian restaurants will always be welcoming to families. We love to see you having a family get-together! 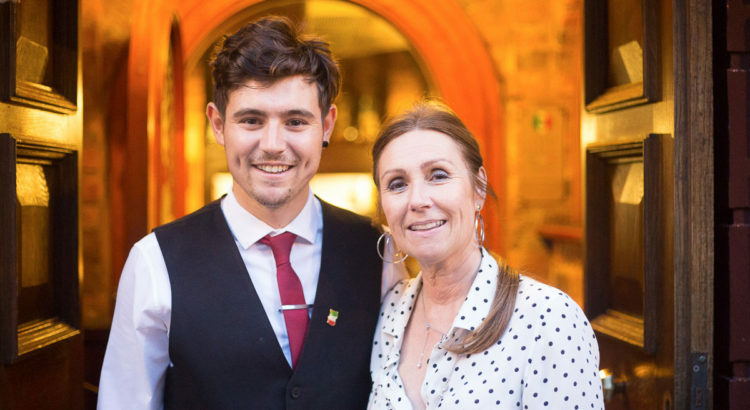 Here at Villa Romana, our Italian restaurant in Liverpool’s city centre, we do everything we can to make families feel comfortable and at home. We know that the number one thing we can do to make ourselves a real family restaurant here in Liverpool is to make our prices affordable. So that is exactly what we do. We have offers running at all times and at the moment they include the fantastic 50% off pizza and pasta dishes every Wednesday, so you can come in and order a family feast for half the price. Not many Italian restaurants in Liverpool have been around for as long as ours and in a city with as many Italians living here as we have, that is a great testament. Something that we know parents love about our Italian restaurant in Liverpool is that their children have the opportunity to eat the same meals that they do. We think that children should be able to choose from the same delicious array of foods as their parents, instead of being confined to a much smaller selection of different options, don’t you? We’re sure that most of the best Italian restaurants would agree with us. At Villa Romana, most of our pasta dishes, as well as some of the dishes from the other sections of our menu, are offered with two different portion sizes at two different prices, so that our younger guests, as well as those with smaller appetites, can order a meal that is right for them. Looking for an Italian restaurant in Liverpool for a celebration? If you’re planning a family celebration and you’d like to hold it at an Italian restaurant in Liverpool then we would love you to make it Villa Romana. If any of your party has access requirements, dietary requirements or any other needs that you would like our assistance with simply let us know when you book. We will do everything we can to welcome your whole party, from the very young to the young at heart.